Shop visit last night. So of course I need to be in uniform. Decided to wear my zebra print wedge booties as a contrast to my all black jumpsuit. I swear jumpsuits are super comfy. The only problem with wearing jumpsuit is... it's such a b*tch to go to the bathroom! Lol! 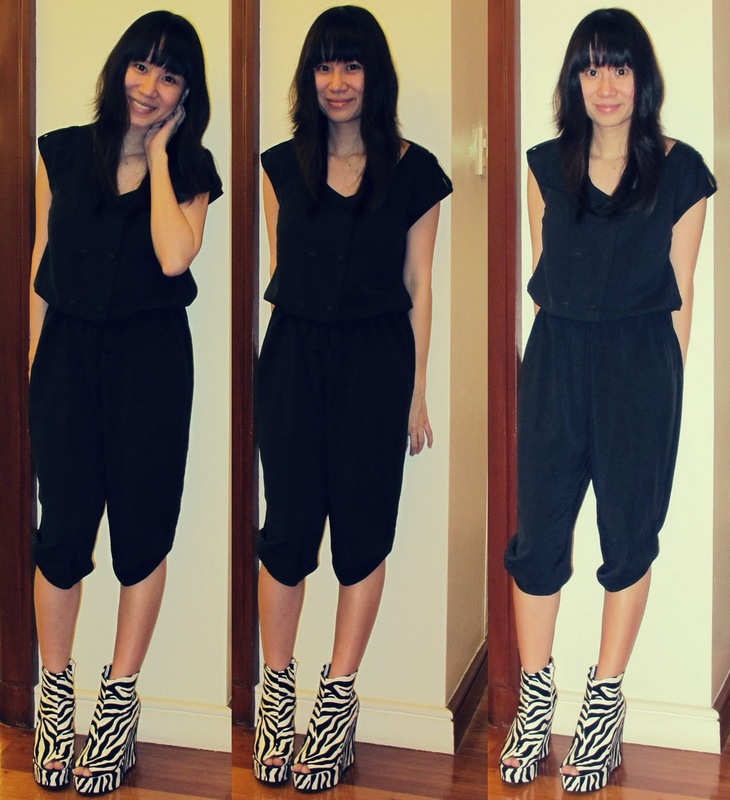 haven't tried jumpsuits, so no clue hehe but looks like a b*tch to go =p but it looks so lovely on you, Lloyda! and the shoes! love!! Hot wedges! They surely give that jumpsuit an added oomph! 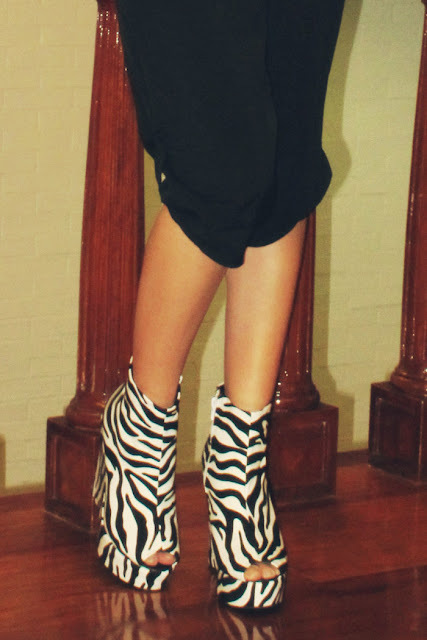 Great outfit, those wedges are insane! "I swear jumpsuits are so comfy..." So true pero totally agree with "..its such a b*tch to go to the bathroom" hahahahaha!! jumpsuits looks good on you Lloyda dearest but the shoes are just a killer..I would love to check our your shoe collection my dear!! !